This section of our website will deliver practical how-to advice. You will also find specific statistical and factual information and resources. We intend to build this segment of our resource guide into a valuable distribution of information for all types of preppers. A comprehensive how-to guide covering all the important emergency topics will be comprised here, as well as shorter how to instruction on individual survival topics, which will be placed in our Disaster Survival Article Library. Our disaster survival articles area is a great place to go to read about normal people just like you surviving potentially deadly emergency situations. These resourceful individuals educated themselves in different aspects of emergency preparedness. And that planning paid off with life-saving consequences. 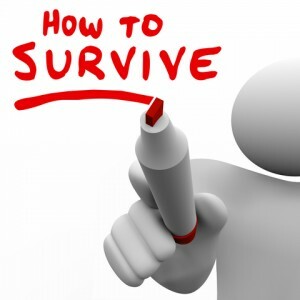 We will complement those individual “how to survive …” topics with our recommendations as to specific gear and supplies that are available conveniently for online purchase. You will also receive links to specific reviews of survival gear, emergency food companies and accessories. We only recommend those products which consistently rank high in customer satisfaction, and which we have reviewed ourselves. From water and food to fire and shelter, as well as survival luxuries, all of your disaster survival questions will be answered. Since surviving a man-made or natural disaster, or any long-term emergency situation, can mean different things for different people, look here for how-to articles directed at unique situations. A single male in his 20’s living in the mountains will have very different survival requirements than a family of 4 living in the city. Because of this, we will cater specific survival information to different demographic, socioeconomic and geographic requirements. Check back frequently for updated information. Our goal is to provide a one-stop resource covering every possible emergency preparedness and disaster survival scenario. That means that “how to” topics and information, as well as specific disaster survival stories and tips, will be added to on a consistent basis, and we welcome your input regarding specific topics and questions you would like to see covered.